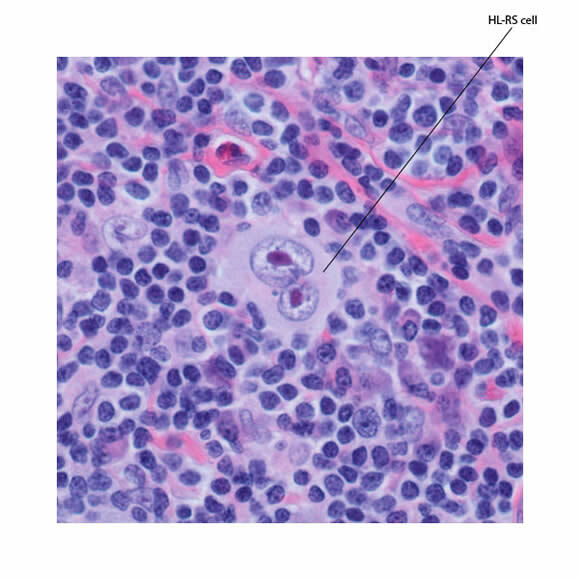 Malignant cells of Hodgkin lymphoma and the diagnostic cell of classical Hodgkin lymphoma. 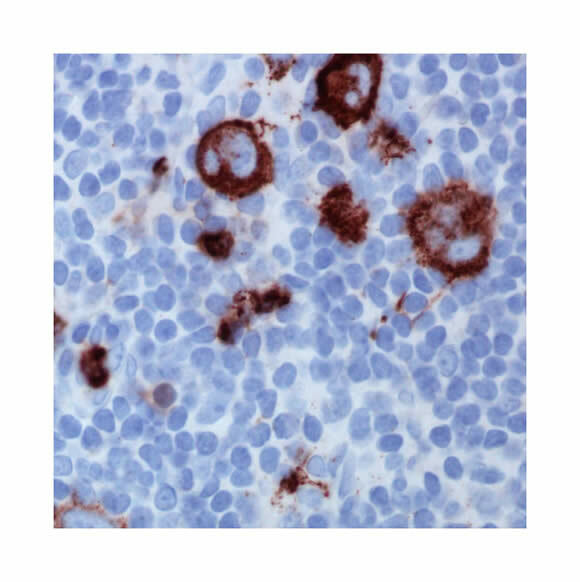 Reed-Sternberg cells are derived from clonal proliferation of B lymphocytes. Two large and prominent eosinophilic, inclusion-like nucleoli (in each nuclear lobe). Constitutive activation of nuclear factor kappa B (NfkB) pathway to prevent apoptosis is thought to be the mechanism of formation of malignant RS cells. As a result of this activated pathway, RS cells overproduce tumor necrosis factors, cytokines and chemokines. 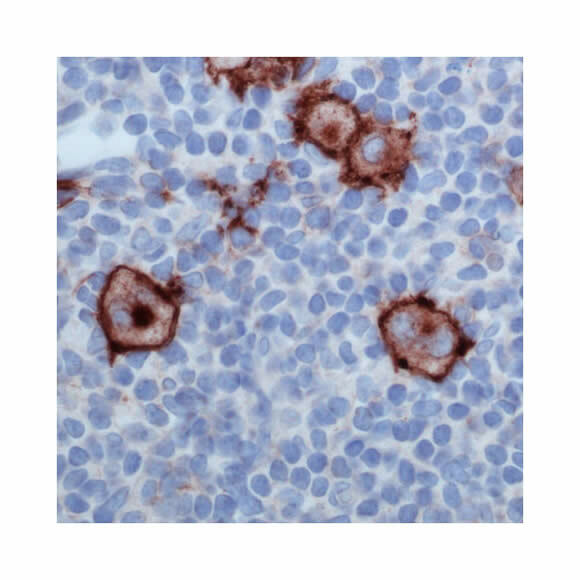 Typically, RS cells appear either in classical form or in other variants such as lacunar or reticular.